In this episode we are joined by Mr. Jon Parks, DVHS Comparative Government teacher and SRVUSD Teacher on Special Assignment with a focus on Culturally Responsive Teaching (CRT). We dig into the definition of CRT and several key aspects of the process of including all students in our curriculum. Thank you so much for joining our show! Our goal is to provide you with quality content, so your feedback is greatly appreciated. If you like what you hear please share the show with those that you ... Más informaciones think will enjoy it too. A link to the show is on the DVHS homepage. You can also find us on iTunes, Spotify & Sound Cloud. Feel free to reach out to me directly as well: You can email me at dball@dvhigh.net, leave me a voice mail at 925-587-8199. 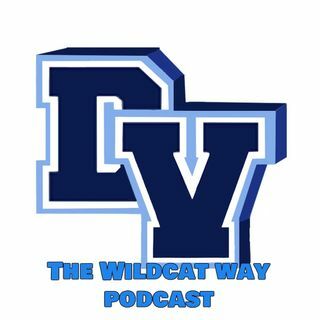 On Twitter and Instagram you can find us at @DVWildcatPod. I look forward to hearing your thoughts about the show. As always, thanks for learning a little bit more about the Wildcat Way!